Centre-left: the antique "Birds Wing" corset, copyright Snibston Discovery Museum, Coaville. Fashion is cyclical, we know this. Perhaps corsetry is too, though on a longer time-frame! The Birds Wing corset is, I hope, quite well known now. Inspired by this 1900s antique corset, most of the corsets I make are now "Birds Wings" or at least heavily inspired by the idea. Though it may not be apparent at first glance, each bone channel you see in the above corset is actually a new seam, with this particular design having 21 panels per side. I remember once, when I was still quite new to corsetry, having someone ask a curious question. 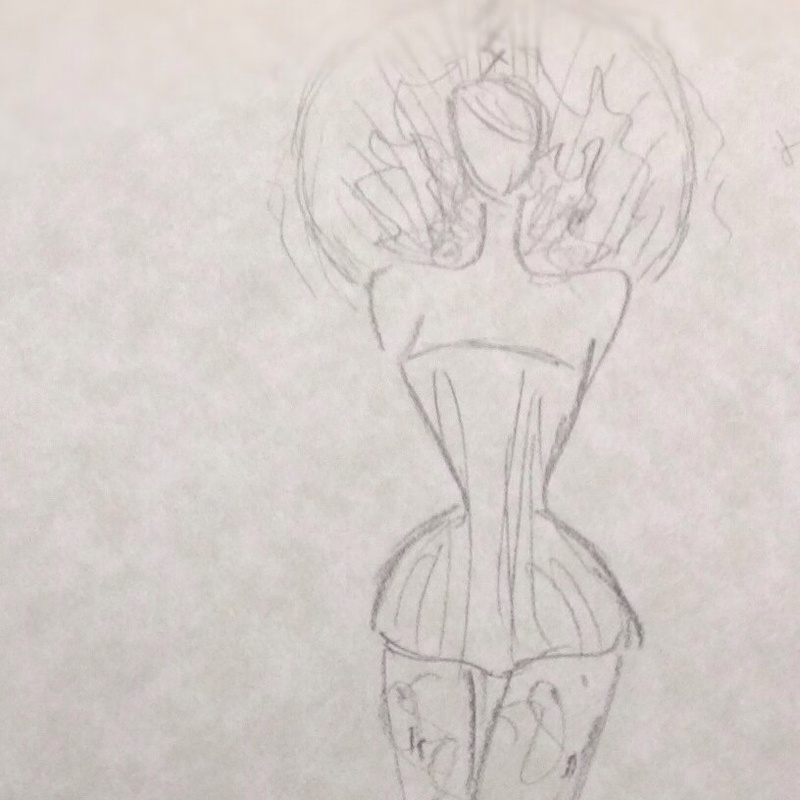 They looked at a corset I had made with numerous exterior casings (which, as you may know, gives visually a very similar effect), and said something like, "wow, there must be something like 50 panels in this corset!" I think I smiled and replied with, "oh no, that would be madness! This only looks like that due to the casings, it actually has an ordinary 6 panels per side..." Little did I know! An example Sparklewren "Birds Wing" pattern, one of my early-ish testers. "Python", a contemporary Birds Wing corset by Sparklewren.